Ron and Maggie Tear Photography: Indian Hands. Whilst visiting the Tigers of Bandhavgarh the entrance that we used was in the town of Tala. Our guide lived here and of course knew the people. 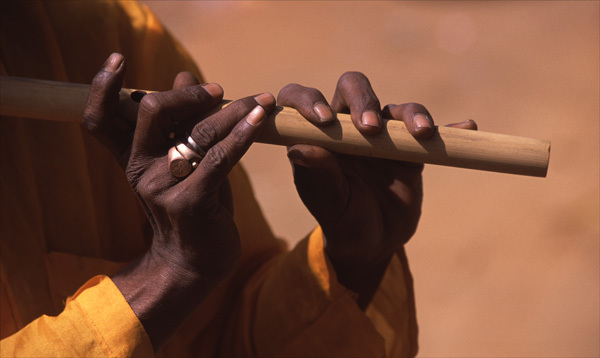 He gave a lift to this blind beggar whom when we arrived at his home played his flute. We gave rupee's for his performance and took some images. Maggies was the best of these she concentrated on the hands, exquisite. Tala, near Bandhavgarh Reserve, Madhya Pradesh, India.